Explore the past, present, and future with Oceanic Tarot. 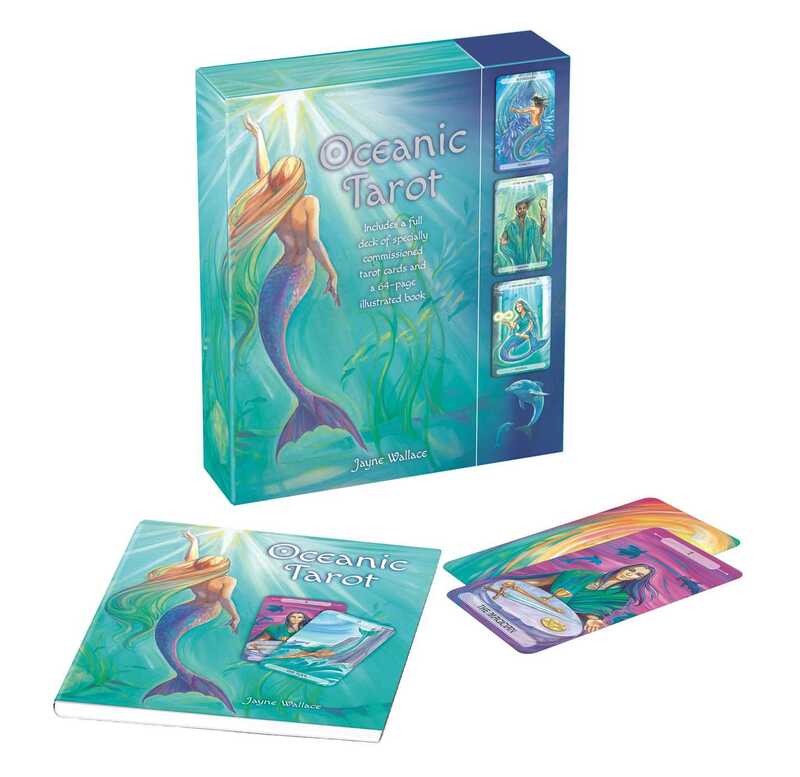 Discover the ancient art of tarot with this beautiful ocean-themed set of 78 cards and an accompanying book, stunningly illustrated by Jane Delaford-Taylor. The traditional major and minor arcana are translated into a magical world of mermen, mermaids, and sea creatures. The book reveals the interpretations for each card, as well as explaining how to lay the cards out for different types of reading, so you will easily learn how to draw out meaning from the past, gain insight into the present, and predict the future.